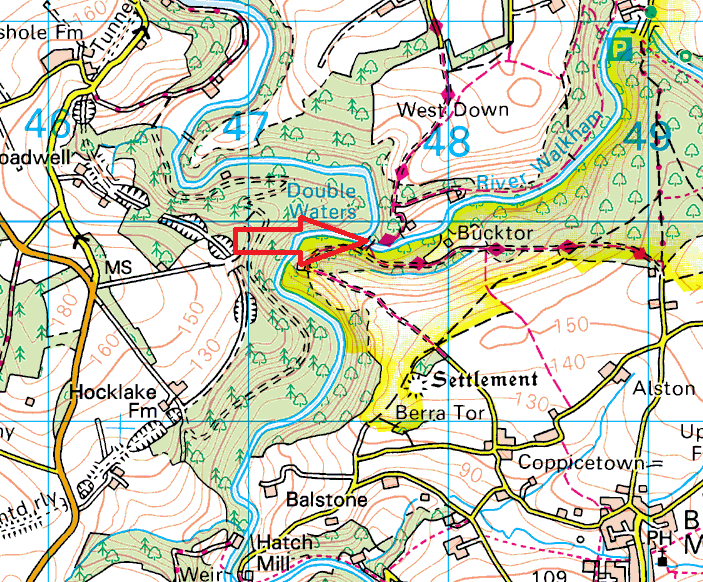 This is a meeting place for two big rivers in the south western corner of Dartmoor. 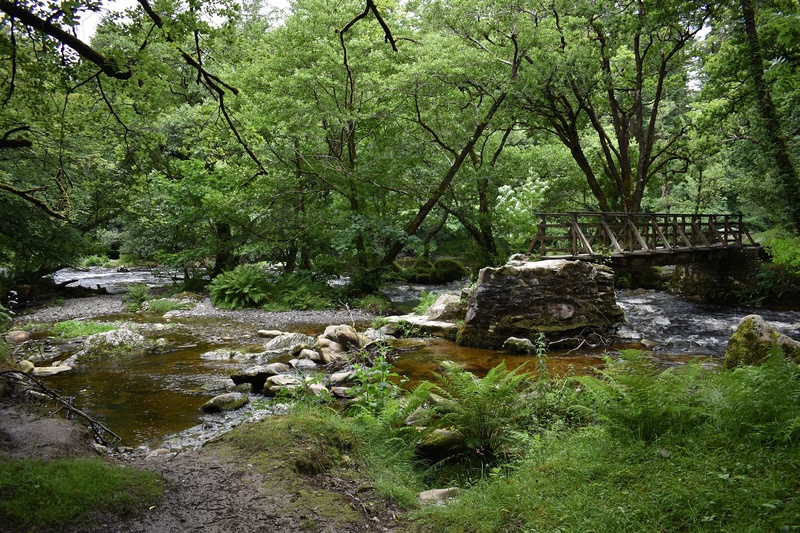 Doublewaters is exactly what it is, the spot where the River Tavy meets the River Walkham. The West Devon Way also comes to this spot and to enable walkers to cross the River Walkham (in this case) to continue their journey a small wooden bridge has been erected. Now I’m not sure who did erect this bridge but they obviously forgot their tape measure as they don’t seem to have made it long enough, especially if the river is in spate, meaning a bit of rock hopping or possibly wading may be needed! !